Hundreds trek to the forests in Thiruvananthapuram district to get treated by Lakshmikutty. 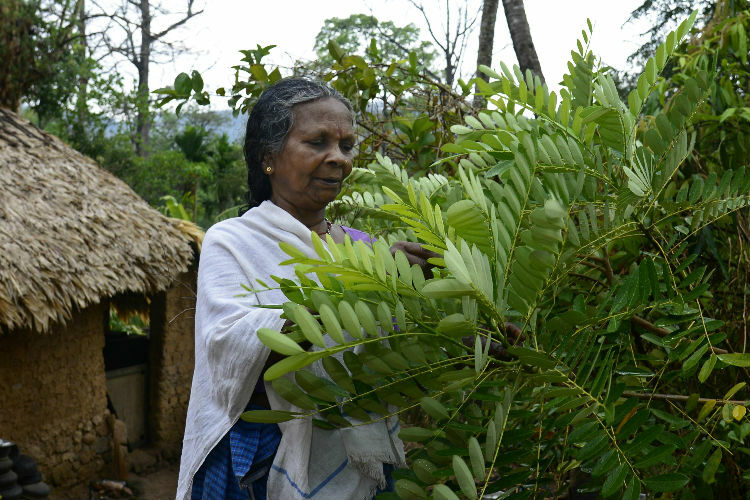 She lives in a small hut with a palm leaves roof in a tribal settlement, deep in the forest of Kallar in Thiruvananthapuram district. Lakshmikutty, a 75-year-old tribal woman is a poet, poison healer and teacher at Kerala Folklore Academy. 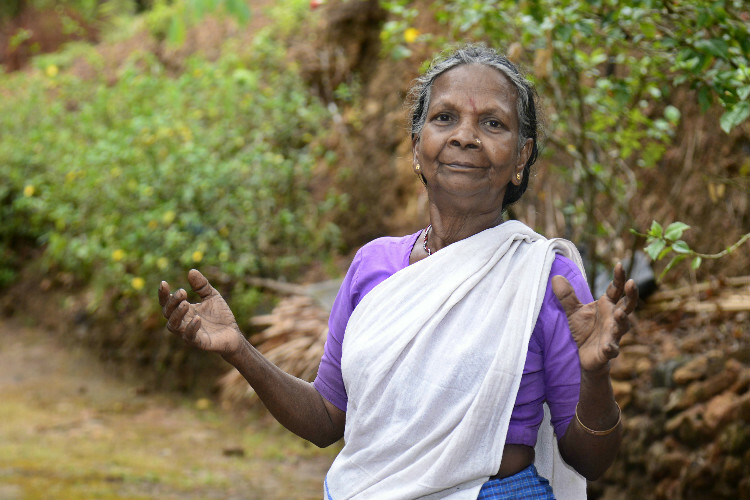 With medicinal herbs and plants surrounding her small hut, hundreds trek to the forests to visit Lakshmikutty, who offers herbal treatment for poisoning. But it’s not only medicine that she has to offer but she also helps calm those affected with her gentle words, which can last for hours. All her knowledge on herbal treatment, she says, was passed on from her mother, who worked as a midwife. And with neither Lakshmikutty nor her mother making a written record of the medicinal plants and their uses, the Kerala Forest Department has decided to compile a book based on her expertise. “I can prepare about 500 medicinal treatments from memory. Till now I have not forgotten them. But people come here for poison treatment mainly snake or insect bites,” she says. Her dream, she says, is to convert her hut into a small hospital, where patients requiring long-term treatment can continue to stay. Many fondly refer to her as ‘Vanamuthassi’ (Grandmother of the jungle in Malayalam) but she is more than just that. Lakshmikutty also gives lectures on natural medicine at various institutions across the southern states. “I have visited many places outside the forest. Met many people, but I belong here. My heredity exists here,” she notes. 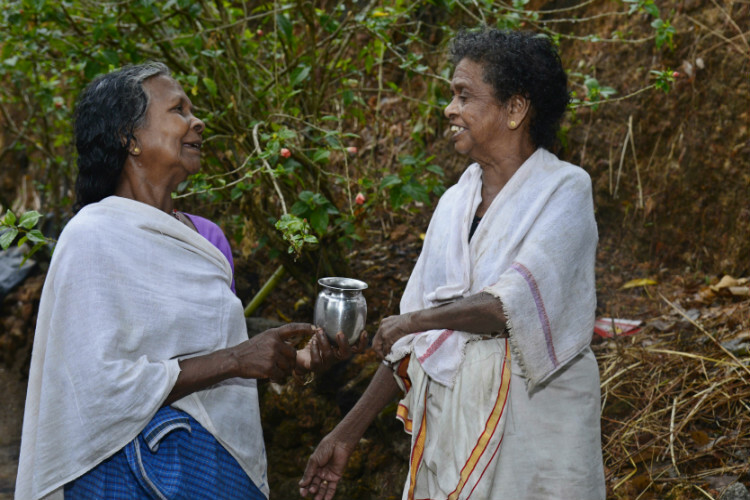 It was in 1995 that Lakshmikutti got noticed by those outside her forest when she received the ‘Naattu Vaidya Rathna’ award (award for naturopathy) from the Kerala government. “Till then people used to come here after hearing me from those I have already cured. Before 1995 people visited me from far off places but the number increased after I won the award,” she recalls. She has won numerous awards since then, with the latest coming from the Indian Biodiversity Congress in 2016. Her persistence made her the only tribal girl from her area to attend school in the 1950s. “I still wonder how I went to school. I was persistent that I go to school and my father finally had to agree,” she laughs. Together with two other boys from her settlement, Lakshmikutty walked 10 kilometres every day to get to school. She, however, studied only until class 8 as her school did not have higher education. One of the boys she walked to school with, was her cousin Mathan Kaani, who she developed a deep friendship with, that eventually progressed to marriage. “He was with me in all my decisions and achievements. He used to tell me that I can achieve my goals even without him because I was a strong woman. He was the perfect partner from the day I got married at the age of 16 until he died last year,” she recounts. 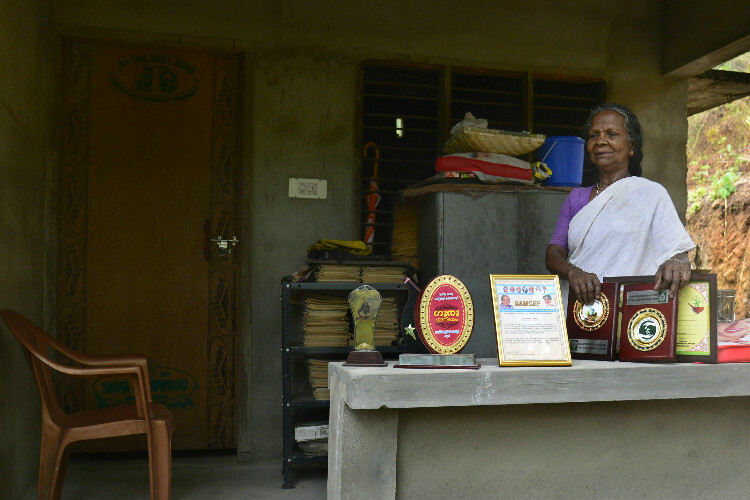 Not wanting their children to face the same challenges they had undergone as tribals living in the forest, Lakshmikutty and her husband provided their children with a good education. “I was adamant that my children should study. Nobody in our settlement gets an education, I consider it valuable,” she says. But tragedy struck Lakshmikutty’s family. “The most painful incident I have gone through is my elder son’s death. He was killed by a wild elephant,” she recalls. Her younger son also died in an accident. Another son is working as chief ticket examiner for the railways. But beyond the world of natural medicine, Lakshmikutty is also known for her satirical poems and writings. She has written numerous articles ranging from tribal culture to the forests, which have been published by DC Books. Her poems, she observes, can be recited on a rhythm. “These are simple words anybody can recite, it’s not in tribal language as you expect,” she smiles.